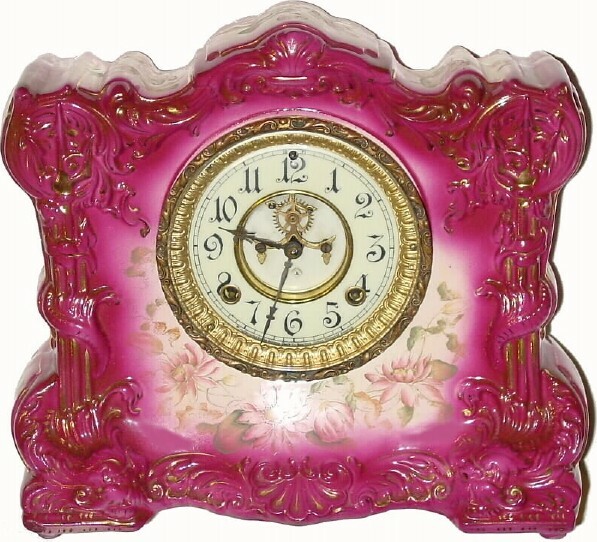 C.1910, Ansonia Clock Co., OSCEOLA porcelain china clock in very good original condition, except for a missing rear dust cover (these are available from Timesavers for a few dollars). Open escapement movement and dial are in sound and complete condition, but are dirty and require cleaning. This is a nice dark pink color, with gold highlights intact. Will restore nicely Height 11 1/2"